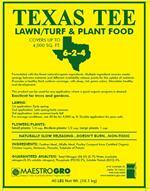 Maestro Gro manufactures fertilizers, plant foods, soil amendments, and liquids that are effective and organically safe. Maestro Gro and Rabbit Hill Farm brands are made wiith natural and organic ingredients to give you the proper nutrients for your lawns, flowers, vegetables, pastures, ranches and farms. Texas Tee, Rose Glo, and Garrett Juice Pro lead the way among 40 different products and can bought at a retail nursery or lawn and garden retailer in Texas, Louisiana and Oklahoma. Use our Dealer Locator. 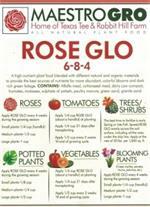 Start reviving your soil and your plants! For richer, greener lawns. Balanced with all natural/organic ingredients, activates the synergy between all nutrients. Promotes a healthy thick uniform coverage, with deep rich green colors. 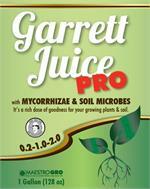 Stimulates healthy root development. 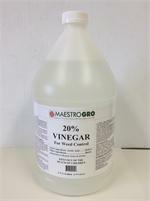 20% Vinegar can be used as a non-selective contact herbicide. Target weeds in flowerbeds, around trees, along fence lines, sidewalk and driveway cracks. Spot spray weeds in lawn. No mixing required. 20% vinegar comes in a commercial sized 55 gallon drum for weed killing, pickling, cleaning, etc. Distilled from corn.